Weighted powder coated mild steel base with a variety of top options. Weighted powder coated mild steel base available in black or white. 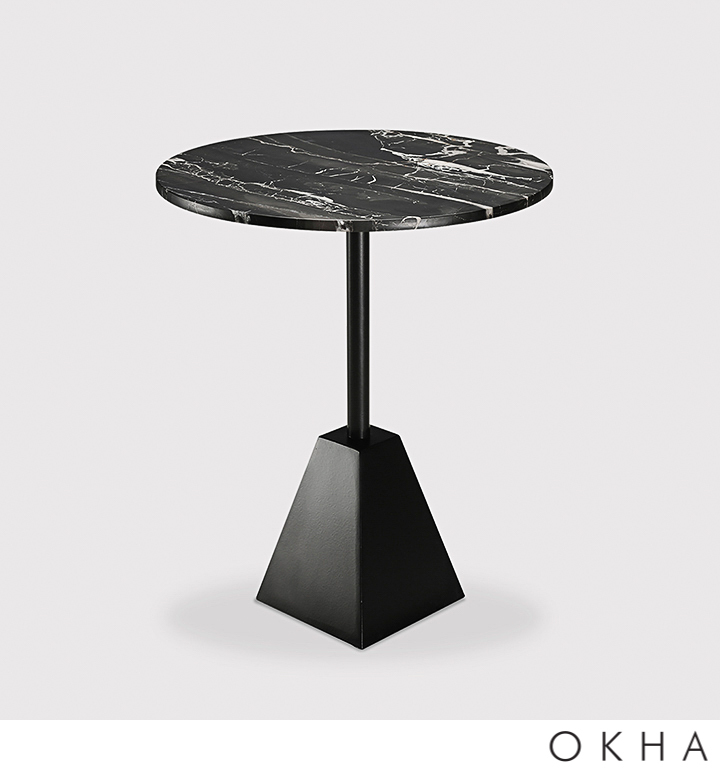 Table top available in Nero Marquina or Volakas marble. 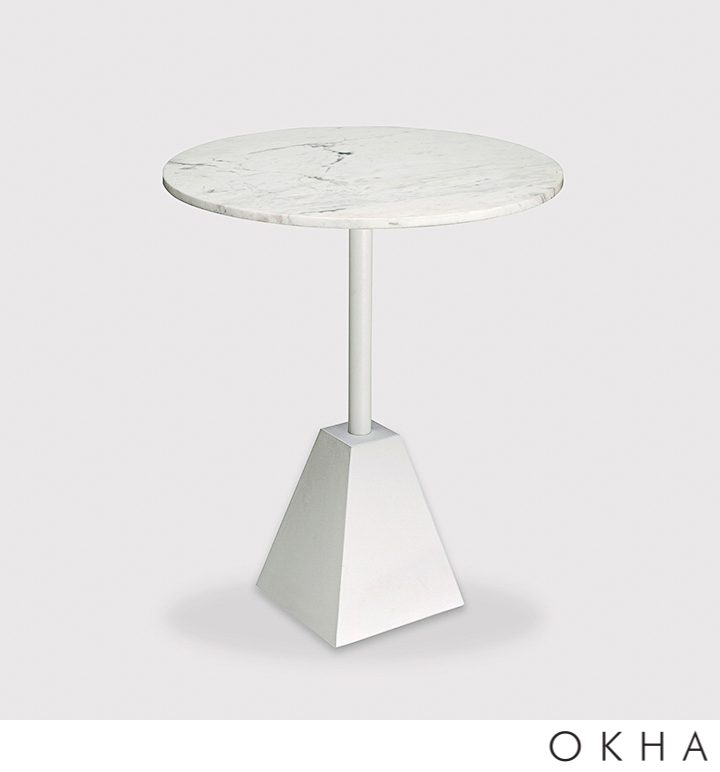 An additional choice of honed or polished marble tops is available upon request.